When I’m editing a work of fiction, I look for active writing—the life of a novel—on three distinct levels: 1. Voice, 2. Language and, 3. Plot. Active writing… the antithesis of passive writing. Friends who write and creative writing teachers, editors and agents, publishers and critics and helpful relatives at Thanksgiving dinner—they’re always imploring us to “Write active, not passive.” So what part of the creative writing process—voice, style or composition—should continually sparkle with activity? The answer is:Yes, yes and yes. All of the above. However, breathing life into a novel isn’t a singularity. It happens (subliminally or not) on multiple levels during the creation of a novel. I look for the life of a novel on three distinct levels: Voice, Language and Plot. But let’s look at voice, first. Show, don’t tell. Meaning… show the reader the gleam of the diamond, the glint of hard steel, the fragrance of new blossoms in the spring—and not simply tell the reader, it’s a rock, it’s a sword, it was warm. The statement may be clear and simple—but it’s hardly exciting writing. When you allow us to glimpse morsels of your story by using active voice, you’re using interpretive sensory details far more illuminating, and pleasing—or horrifying, if that’s your intent—to the reader’s senses. You’re revealing hidden passions or characteristics or secrets that may not otherwise be revealed. You’re sifting through the layers of each character, seeking those few gleaming shards that best illustrates the fact that John does indeed hate Mary. You’re picking a single carrot out of the stew, and investigating that one morsel in breathtaking detail. Mary recoiled at her husband’s touch. She found his breath cloying, his voice dripping with a sarcastic bitterness that betrayed his disgust with the woman who had once captured his soul. Or ponder the efficient, yet detached: Joan loved Paul. Now consider the alternate: She adored the way Paul reached for her hand when they walked together on the beach, or how he touched her face in the moonlight, and whispered her name. Not once does a writer need to use the words “love” or “hate.” Instead, the reader intuits those vibes from the use of richer language. A single tear falling from an eye can be a far more poetic experience than Joan sobbed all day long. She adored the way Paul reached for her hand…. A pretty basic concept, no? A single, simple sentence evokes an emotion, a bond between Joan and Paul. A confident writer might intuit that no further character development is necessary yet, or else add a line or two more to impart other significant detail about their relationship at the moment. However, lavishing nuance after nuance into another dozen pages would, indeed, complicate the obvious. Once we intuit that Joan indeed loves Paul, it’s time to move on. Thus, a writer might begin to scene set, adding details about the endless, palm swept, black-sand beach. Or perhaps it’s time to infuse a plot element—introducing that unseen, 18-foot Great White swimming hungrily just beyond the breakers. She adored Paul because he’d once bought her flowers that had cost twenty dollars at the carnival in Rio, but back then Paul had a part-time job as an undertaker, so he didn’t mind spending so much, even though he could have bought roses cheaper down the road at a place called Pepe’s, where Paul had once dated a girl named Rita. Unless any of the above rambling “summary” is later crucial to the plot (or a very specific style choice that’s leading somewhere), Paul’s former career, the existence of Pepe’s or Rita’s mention, that information does not belong in the book. And certainly none of it belongs on this beach. If any of the information is later crucial—introduce those elements at the appropriate time. In other words, if we don’t meet Rita again for 150 pages, don’t mention her in passing now. We certainly won’t recall her name! Nor should you expect a reader to carry that baggage for 150 pages. However, if Rita will develop later into a necessary character, give her ample stage-time (if only a few paragraphs), or some specific trait, sufficient for readers to remember her 150 pages hence. Muse Harbor Publishing’s Eileen Workman, Economic Philosopher/Author of “Sacred Economics: The Currency of Life” and former Wall Street Economic Financier/Vice President, shares a hopeful vision for how to create an abundant, harmonious economy that eliminates indebtedness, exploitation and inequality. She will discuss how resurrecting the archetypal energies of The Divine Feminine can help us build a regenerative, sustainable and compassionate society on a global scale. 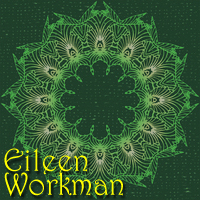 On February 19th, 2014 at 7 PM PST, controversial political, socio-economic author/blogger Eileen Workman will discuss her book “Sacred Economics”and the rehabilitation of the Divine Feminine here on Voices of The Sacred Feminine Radio, hosted by Karen Tate. Please click on the link above to listen to the show. Workman and Tate will be discussing the progressive ideas and practical life-tools used to manifest abundance from her book, “Sacred Economics: The Currency of Life” and the return of the Divine Feminine to promote new ways of thinking from the heart for world betterment. The financial expert and noted economic visionary will provide simple, non-monetary steps that individuals, companies and local governments can take toward building sustainable communities, and peace of mind. Workman will provide concrete examples of how real-life, self-sustainable, gift-based communities, modeled after natural ecosystems are being created and successfully implemented in cities around the world. Showing how today’s greed has killed many industries, Workman predicts the death of the debt system and explains how these new, gift-based communities are not only here, they are thriving. 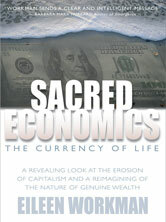 In her book, “Sacred Economics: The Currency of Life”, available from Amazon, Barnes & Noble, iTunes, and Muse Harbor Publishing, Workman offers a logical analysis of the problems that are undermining the global monetary system. She also maps out steps individuals and governments can take to move beyond our present economic gridlock to create a real sustainable and life-affirming economy. Workman worked most recently as a First Vice President of Investments with a major international Wall Street firm and draws upon her work experience and extensive research, to present a powerful argument that the outmoded and corrupted vehicle of capitalism cannot sustain us for another generation. Better to confront our fear, our unknown self, than to run because we’re too afraid to ask those questions we’ve been taught never to ask. Workman does not blame capitalism for the problems we face. Instead, she questions why society continues to worship the aggressive growth engine that drives our global economy. Why is debt necessary? How can society overcome greed? Why does poverty exist? Is a moneyless society possible? By carefully deconstructing our shared, often unexamined beliefs around “making the grade” in modern society, Sacred Economics points to an evolutionary opportunity. Sacred Economics’ inspired perspective explains why humans are drawn to the innovation of creative exchange, and how—in the interest of becoming the best we can collectively be—society might direct their attention toward the purposeful design of a more compassionate, cooperative and abundantly flowing economic system. Ms. Workman, an engaging speaker, financial expert and global economic visionary, can be reached for further Radio, TV, Print and Online interviews or event speaking engagements, by contacting Margaux(at)museharbor(dot)com. Friend Eileen on Facebook to join her blog and conversations on innovative solutions and political/economic philosophies targeting a wide array of current events. I’m not sure if there’s a sage in the world who can teach the secrets of exciting writing. If they can’t, I certainly can’t either. I happen to believe that writers, like ball players, concert cellists and chess masters, are born into this world fully equipped with the ability to succeed. Some will never have the chance or the perseverance to fully explore or hone our true talents. Others will spill blood, sweat and tears, but never catch that lucky break. (Sorry, yeah, it’s about luck, too.) Sometimes, good writers simply encounter bad timing. Or the wrong agent, or editor, or the wrong publisher. And don’t think I haven’t lost a sleepless night or two fretting about that last quandary. I have. She’s right. But the biggest tragedy is never knowing. Never trying. The world may indeed be overladen with Studebakers pretending to be Ferraris, but I suspect the world has its fair share of idling Ferraris, glumly assuming they’re Studebakers. These are the writers who’ll never allow themselves the chance to experience themselves flying balls out down that literary speedway of life. And that’s a shame. As hopeful authors, most of us are capable of crafting and honing our mechanical abilities—we can read creative writing books, we can study language and craft and attend workshops—we’re able to eventually intuit a noun from a verb. Because a writer can learn the simple stuff. But you can’t learn what can’t be taught. You can’t learn writing excitement. When I talk about excitement, I’m talking about a writer’s individual style, that unique blend of panache and enthusiasm and articulation. Style can’t be bought or taught or handed down, generation to generation. Nobody taught Picasso Cubism. Nobody taught Babe Ruth to hit homers. Nobody taught Einstein to think. They each had it in ’em, all along. If you have it—and Tom Wolff would call it the right stuff—good for you. Aim for the center field bleachers. If you don’t have it, you’ll discover that soon enough and move on. Ninety-five percent of wannabe fiction writers move on, and often to even greater endeavors. Ain’t no shame in crossing off write a novel from your bucket list, before skiing the Alps or designing a home or discovering cold fusion. So… do I have advice for those of you attempting to determine your own stylistic prowess? (Does a goose have paté?) I can offer a few suggestions to flint that spark, to perhaps ignite something inside that might never extinguish. Suggestion #1. New to fiction writing? 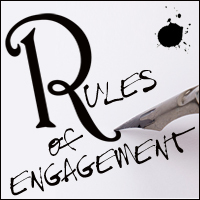 Overwhelmed by the concept of writing 350 pages end-to-end? Unsure of your own abilities or talent or stamina? Start with smaller bites. Write a short story. Write an idea. Write a slice of life—a simple scene, a simple page with no beginning or no end—with no other agenda than pure enjoyment. Write for yourself. Make yourself smile. If that works… write another page. If you find yourself pouring out your soul, or simply amusing yourself with your own creative genius, perhaps you’re onto something. But writing a novel is kinda like giving birth. Give it time. Give it room. If you start pushing too hard at three months you’ll only hurt yourself, and the kid’ll be thinking WTF, mom? So…. Rule #3. Always write for yourself. If you find yourself writing for an audience, you’ll eventually lose yourself in the crowd. Even if you’re successful, sooner or later you’ll probably sell your soul. So write to please yourself, first and foremost. Suggestion #2. Chances are, if you’re a writer, you’re also a reader. As a reader, what excites you? When I write, I keep a favorite novel on my desk and, most mornings before I begin working, I pick a random page and begin to read. Sometimes I read a few paragraphs, sometimes a few pages. I read until I’m filled with awe and appreciation and amazement that, yeah, that’s great stuff. And I can do it too. By reading snippets, I’m not attempting emulate a writer’s style or content—I’m not plagiarizing substance or verbiage—I’m simply trying to jump start my own creative juices by absorbing another writer’s creative juices. It’s the literary equivalent of a Vulcan Mind-Meld. Suggestion #4. Keep your voice active. Not passive. Muse Harbor Publishing’s “Awakening Into Perfect Peace” author teaches an easy, proven three-step process to achieving mental peace in his Hummingbird Living School’s TeleCourse, over four Wednesdays, February 12th – March 5th. His simple ROAR approach to acceptance and letting go is gaining national popularity as a healer of anxiety, stress and low self-esteem. On four Wednesdays from February 12 – March 5, 2014, Hummingbird Living School in Santa Fe, New Mexico will host a TeleCourse with Dr. Ralph Huber,popular Communications Expert/Coach and Author of “Awakening Into Perfect Peace: Reflections on Freedom from Suffering.” Space is limited and previous courses have sold-out, so listeners are encouraged to register soon by clicking on hummingbirdlivingschool.org. Ralph Huber is one of the great minds and hearts of our times. ‘Awakening Into Perfect Peace’ serves as a fertile ground for self-actualization. Two of Huber’s students from a recent workshop said, “I had many significant takeaways including that pain exists but suffering is optional” and “For me, this class gets at the heart of how to live life from peace rather than from anxiety.” JB and MH from Santa Fe, New Mexico. 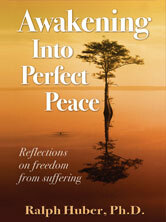 “Awakening” recently launched on 2013’s International Day of Peace from Muse Harbor Publishing. It can be found on Amazon.com and museharbor.com. An engaging, inspirational speaker with practical “inner peace” tools that benefit any reader, listener or viewer, Dr. Huber can be reached for further interviews, including Radio, TV, Print, Online Blogs and event speaking engagements, by contacting Margaux(at)museharbor(dot)com.